Yujing Zhao broadcasting live for HUA-Voice Radio. In effort to serve international students and engage those interested in Chinese culture, four University of Washington students started the first Mandarin radio show on campus. “We want to help Chinese international students merge into American society,” said co-founder and Communication student Yunfei Zhao in a documentary he created about the journey of HUA-Voice Radio. Undergraduate students who have participated as hosts describe the experience as helping them gain confidence, learn something new, extend their network, show people that they can do something special, and accomplish a dream. But even before the founders could start recruiting students for the show, a lot of work went into establishing themselves on campus and getting the required resources. They needed a solid leadership team, a well thought-out proposal, and to get registered as an RSO. They turned to Artist in Residence and radio veteran Joanne Silberner for guidance, and connected with Publisher and Editorial Adviser to Student Publications Diana Kramer, who works closely with The Daily. “We do the newspaper, the website, and video – but audio we had never thought about and certainly not in Chinese,” Kramer said in the documentary. Kramer was impressed with Communication student and HUA-Voice co-founder Daoming Li’s pitch and recognized the group for their commitment and organization. “What really resonated with me was when Daoming was talking about wanting to create a safe harbor where students from mainland China, and other places too, could develop a greater sense of what it was like to live and study in the United States,” Kramer said. Kramer offered them a small space where they could prepare the broadcast that would later air on Rainy Dawg Radio. After some negotiation, HUA-Voice airs for eight hours a week on Friday and Saturday nights during the school year. Besides Yunfei Zhao and co-founder Daren Dai, who came up with the idea to start a Mandarin radio based on his professional experience in China, none of the other students had prior involvement in the industry and expressed increasing nerves leading up to their first show. Now they are taking what they have learned to help other universities follow in their footsteps. 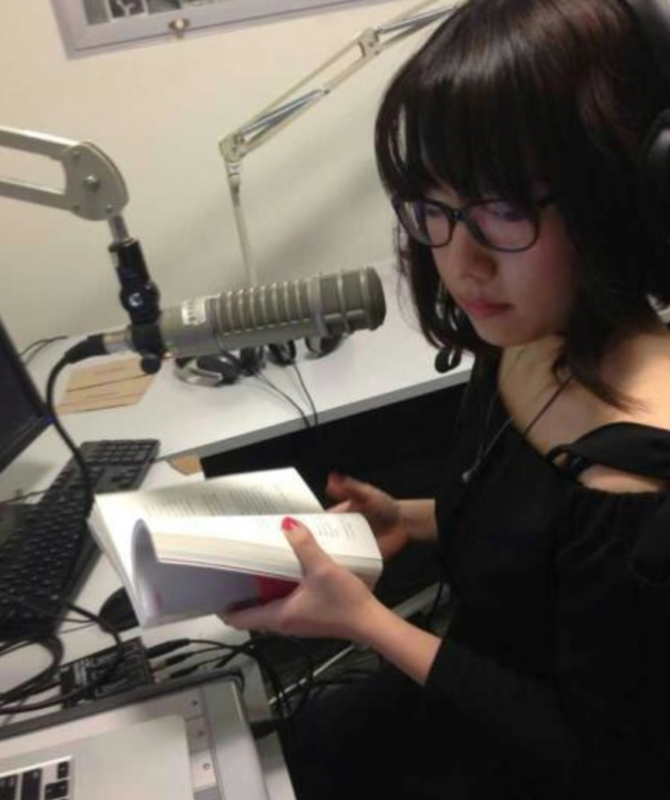 Yiqin Weng created a how-to guide about building a Mandarin radio show from the ground up. Journalism students Simon Fox and Shirley Qiu wrote an article on the Seattle Globalist about the broadcast when it was first starting out. Six months later, the group is gaining momentum with hopes to continue growing their presence on campus.